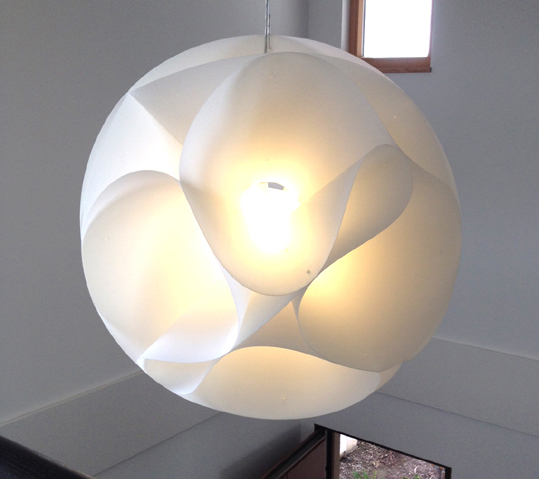 The Rosa pendant was designed several years ago but only in 2011 did we begin to mock up versions in the studio. We experimented with different ways to fold and connect the rings of polypropylene to achieve the characteristic undulating form similar to a rose bud. 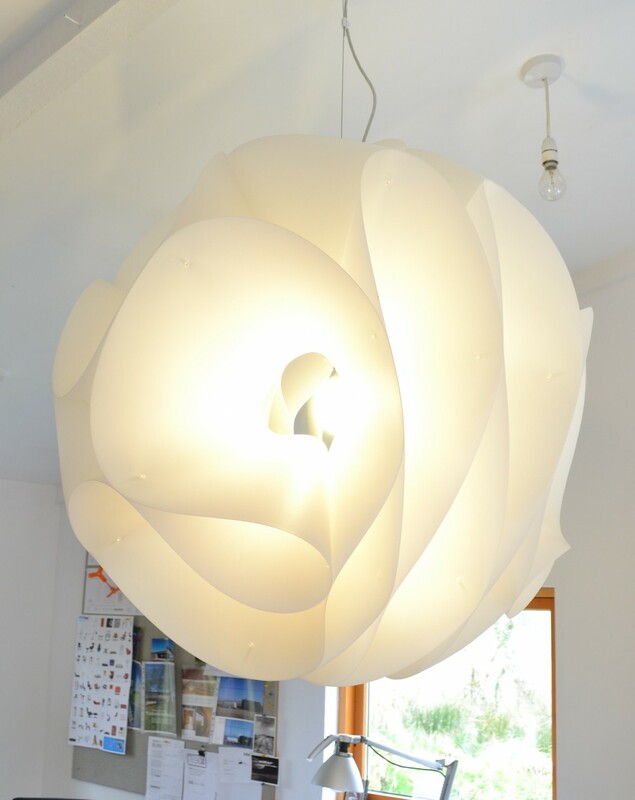 This light can be produced in various colours. Minimum order for colours applies. Fitting comes with our standard polished stainless steel rose, suspension cable and transparent electrical cable.